Cheap laptops draw people to them because of their price. Unfortunately, a low price tag on a laptop means that you are behind the technological curve. 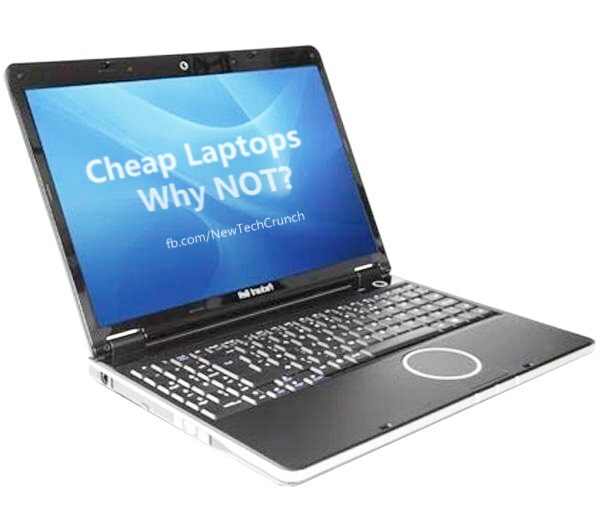 Here are a few reasons why buying a cheap laptop isn't worth the money you spend on it. Cheap laptops have a lack of available RAM. To save on cost, they use the lowest amount of memory possible. Every program uses a part of the RAM for data storage. If you run out, your programs will no longer run properly. Programs will either slow down or will not run at all. This problem gets worse if you intend to store tons of music tracks or keep pictures on your laptop. There is nothing worse than trying to play a game that is slow or nonfunctional. The culprit is usually the graphics card. The only way to fix the problem is to upgrade. Unfortunately, cheap laptops also contain low-grade graphics cards. A low-grade card won't run games or videos. It even has trouble running regular DVDs and forget the high-definition version of anything. Cheap laptops require you to add all of those necessary accessories. They don't come with burn drives, DVD players or a CD drive. If you want to add a couple of speakers and download your camera's photos at the same time, you could run out of ports. That is assuming that the really cheap laptop can handle both operations without crashing. If you need Microsoft Office or Adobe on a cheap laptop, you have to buy it separately. Purchasing these items separately can cost you more than what you spent on the laptop. Then you run into the problem of compatibility. They take up valuable RAM space. You will find yourself constantly installing and uninstalling these programs just to get what you need. Laptops are portable. It is the battery that provides this feature. But when you are constantly having to plug-in because the battery only lasts two hours, the portability feature fails. This is the result when you pick out a cheap laptop. You might as well buy a desktop since you will be constantly attached to an outlet recharging cheap batteries. When thinking about gift ideas for mom, one thing you should not consider is a cheap laptop. They lack many features that moms want in a laptop. Your mom would love a laptop that has all the upgrades along with a long battery life. If you want to give your mom a laptop as a gift, make sure you choose a good one and don't try to skimp on the price.